Opening measures 8' 3" and will fit an 8' Table. Top is 6' wide, Height is 7' 2". 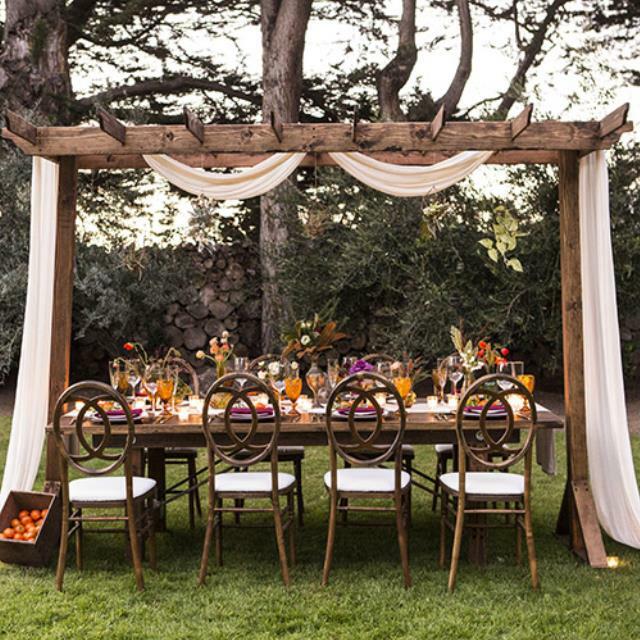 * Please call us with any questions you may have about our rustic arbor serving the Monterey Peninsula and surrounding communities.